We are pleased to announce the Reel Escape finished 13th out of 51 of the top Charter boats in all of Costa Rica. We hosted two teams from Brazil and teams from Trinidad and Australia. During this prestigious four day event there were 328 Sailfish, 23 Blue Marlin, 1 Black Marlin, 18 Dorado, 3 Wahoo and 3 Yellow Fin Tuna caught. All of the 240 Anglers were required to use circle hooks and ALL of the Billfish were released. This was the fifth consecutive year the Reel Escape has fished in this tournament described as the ‘Olympics of Sportfishing’ Torneio Marlin from Rio de Janeiro was the overall winner in this year’s event. We are looking forward to fishing our 6th consecutive Offshore World Championship, April 29-May 2, 2019 in Quepos, Costa Rica. 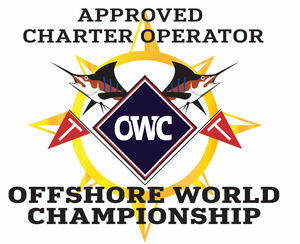 For more tournament information for the 2018 Offshore World Championship, visit the OWC tournament news page.